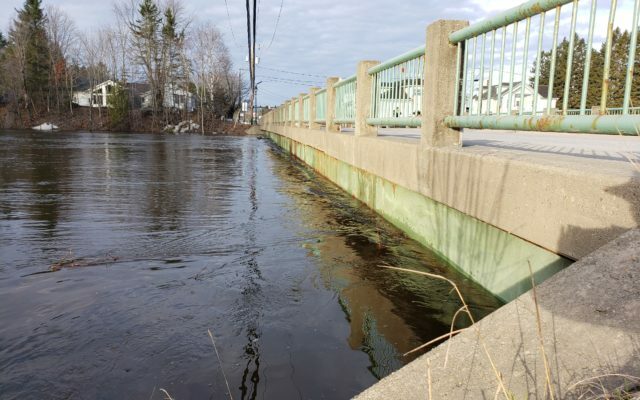 The Maine Department of Transportation reopened the Fish River Bridge in Fort Kent Wednesday morning as water levels receded in the Fish River. The Penobscot County grand jury Wednesday indicted a Patten man accused of robbing an Eastmill Federal Credit Union branch in February. USA Football recently awarded the Valley Mustangs a $1,000 grant to finish buying new helmets for the club. The Maine Department of Labor’s Bureau of Labor Standards will host two free safety courses for employers and employees at the Presque Isle Career Center in May. The owners of an Allagash guiding service plan to rebuild one of their log cabins destroyed in a Tuesday afternoon blaze that three St. John Valley fire departments battled together. As winter comes to a close, I thought I would update those who were wondering how this Texas girl faired in her first winter in Northern Maine. Emera Maine said Tuesday it is withdrawing its request with state regulators to increase its distribution rate amid a bid to sell the utility to a western Canadian firm. Police arrested Chad Peterson, 27, of Caribou, in Bangor on Sunday night after Caribou and Aroostook County police a week earlier issued warrants for his arrest on a charge of domestic violence terrorizing. A Washburn man has been indicted on multiple domestic violence charges after allegedly ramming his wife’s vehicle last year. Fourteen new troopers, including two who will patrol in Aroostook County, graduated on April 12 from the Maine Criminal Justice Academy in Vassalboro. The search for a Presque Isle man wanted by police led to two arrests in Eagle Lake on April 18. 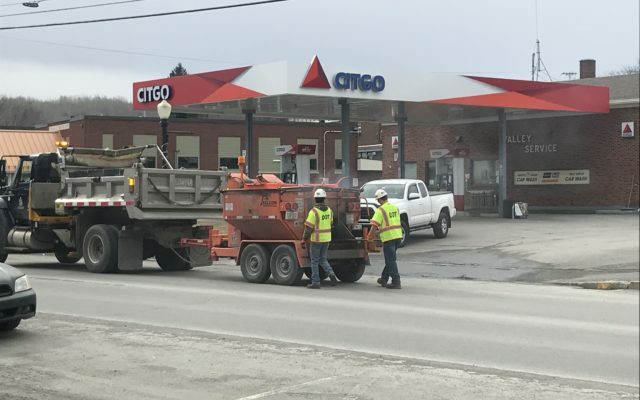 Crews with the Maine Department of Transportation work Tuesday to fill pot holes on Main Street in Madawaska. The 15th annual American Folk Festival on the Bangor Waterfront, set for Aug. 23-25, will feature several new genres for the event, including a surf rock band that wears Mexican wrestling masks during their performances. Measles cases in the United States have now exceeded the highest number on record in a single year since the disease was eliminated in 2000. Changing demographics and a shrinking high school population have challenged organizers within the Maine Principals’ Association. PAWS Animal Welfare Shelter presents Clyde as the Pet of the Week in hopes that this big cat will find his forever home. Clyde is a big, dark brown striped cat with a big personality. The Fort Kent Knights of Columbus have announced the winner of their ongoing lotto fundraiser for the previous week, April 8-14. Valley Girls comic for April 24, 2019. 50 Years Ago -- April 24, 1969 Saucier To Represent Cole’s Express -- Coles’ Express is the first common carrier to have a resident employee in Madawaska. All Aroostook County law enforcement agencies will participate in National Prescription Drug Take-Back Day on Saturday, April 27, from 10am-2pm. Who is your Mother’s favorite? Is it your brother? Sister? You? Let us know in this week's poll! Lou Ouellette is living proof that Trump Republicans will continue to obfuscate even when confronted by facts. My viewing habits of cable news have changed over the past few years. To the editor: Paul Cyr of Madawaska asserts in your April 17 publication that Robert Mueller is a lifelong Republican. This week marks Earth Day, when people around the globe come together to express appreciation for the planet we all share, and to unite in advocacy for the solutions that will preserve this planet for the generations ahead of us. Conclusion: Because we determined not to make a traditional prosecutorial judgment, we did not draw ultimate conclusions about the president's conduct. The Earth is 24,907 miles in circumference. It is finite. Seventy-one percent is water, while 29 percent is land. The human species lives on land. Only 48 percent of the land is usable for farming and raising animals. Again, this useable land is finite. Aroostook spring trolling enthusiasts are chomping at the bit for regional lakes to shed their winter coats. A long, frigid winter with near record snow depths has left local anglers anxious and short on patience, but thick ice still curtails access to most prime angling lakes throughout the Crown of Maine. Family Story Time: Earth Day! 10:30 a.m.-noon at Fort Fairfield Public Library, 339 Main St. Even the smallest hands can lend a hand on Earth Day! Although they will soon be competing again on the basketball court, local firefighters and law enforcement personnel are always on the same team when it comes to supporting the community. Forty years after her first win at the Boston Marathon, Joan Benoit Samuelson scored a victory of a more personal nature during Monday’s 123rd edition of the race. A staff member from Rep. Jared Golden’s office will hold mobile office hours in Grand Isle and Van Buren on Tuesday, April 30, to offer federal program assistance. A biennial conference for water district leaders will take place Wednesday and Thursday, April 24 and 25, at Northern Maine Community College in Presque Isle.